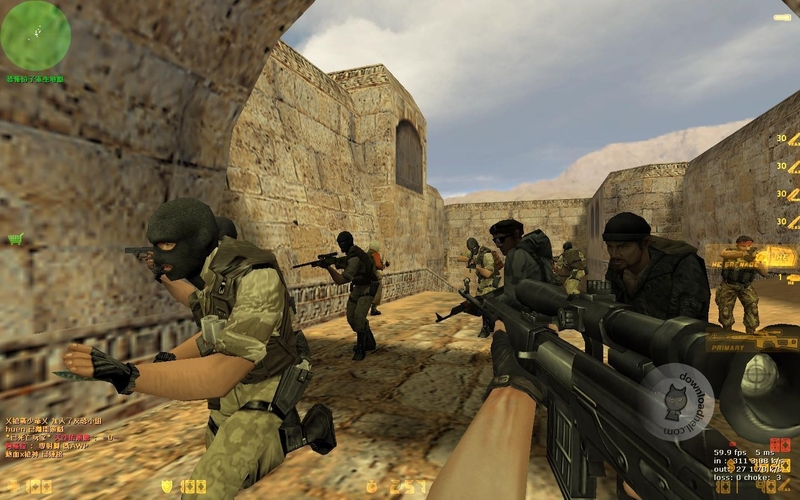 This is a screenshot from the immensely popular and long-running online first person shooter, “Counter-Strike”. Originally developed as a PC mod from the game, “Half-Life”, the Terrorists vs Counter Terrorists team-based game play was released in 1999-2000 and timed well with the birth of internet speeds and graphic cards that could accommodate rooms with multiple players. Only the Call of Duty and Halo series can rival the success of Counter-Strike in the FPS genre. However, one of the major flaws of PC gaming… is the abundance of hacks and cheats. With the most minimal of knowledge (and a lack of morals), a gamer can choose to install code into the game itself that can do anything from making the walls transparent to guaranteed head shots. Anyone who enjoys these games can attest, one hacker can ruin a gaming session in seconds. The problem comes and goes with a cat and mouse like game of anti-cheat software trying to block and ban offenders, while a few clever kids figure out how to bypass any attempts at ensuring fair play… and then posting those exploits up on forums for all the gamer trolls to copy to their own games and spread their dysfunctional misery unto innocent players. The clever vigilante created a trio of fake hacks for, “Counter-Strike: Global Offensive” that promised everything from unlimited ammo and health to some exotic viewing angles that wouldn’t otherwise be possible. Except instead of those exploits, the 5,500 cheaters who downloaded them got a good dose of karma: unwanted attention from Valve’s Anti Cheat system on Steam. 5,500 people. Totally comfortable with ruining your game and cheating to ‘win’. Sad statement on gaming and humanity in general. AndroidL took some screenshots of the cheaters crying because their accounts are now banned. Brilliant. Here is a link to his actual Reddit post explaining the process. This is what hacks in motion look like. To be on the receiving end is definitely not fun and is basically the equivalent of being bullied without being able to stand up the bully. Online harassment is one of the most cowardly forms of human expression. When it invades an arena that is supposed to be a refuge for ‘fun’, it’s that much more sour.